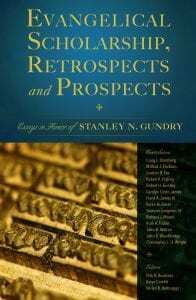 This is chapter 4 in Evangelical Scholarship, Retrospects and Prospects: Essays in Honor of Stanley N. Gundry, Dirk R. Buursma, Katya Covrett, and Verlyn D. Verbrugge, editors. Copyright © 2017 by Zondervan. Used by permission of Zondervan. www.zondervan.com. The story of the fundamentalist-modernist controversy constitutes a signally important chapter of American religious history. The present modest study constitutes a reception history of Charles Woodbridge’s personal glimpses and perceptions of Professor J. Gresham Machen and Professor Adolph von Harnack. It provides additional historical background with which to understand the careers of these two iconic figures in the fundamentalist-modernist controversy. The study also sheds further light on the long reach of this controversy’s influence into the foreign mission fields of the day. Fosdick indicated divisive fundamentalists could not “drive out from the Christian churches all the consecrated souls who do not agree with their theory of inspiration.” He alleged that the fundamentalist view of biblical inspiration encompassed a literalistic hermeneutic, a mechanical dictation theory of inspiration, and a useless belief in the inerrancy of the “original documents of the Scripture.” He also succinctly explained the agenda of liberalism or modernism: “It is primarily an adaptation, an adjustment, an accommodation of the Christian faith to contemporary scientific thinking. It started by taking the intellectual culture of a particular period as its criterion and then adjusting Christian teaching to that standard.” Fosdick’s sermon was printed under a revised title, “The New Knowledge and the Christian Faith,” and distributed to 130,000 ordained pastors throughout the nation. John D. Rockefeller Jr. funded this publishing initiative. In 1925, the Scopes Trial made front-page headlines in the nation’s newspapers. Many modernists believed lawyer Clarence Darrow ostensibly bested in argument William Jennings Bryan, a famous critic of evolution and a recognized fundamentalist spokesperson. For them, the Scopes Trial provided further evidence of the supposed anti-­intellectualism and backward cultural attitude of fundamentalism. By contrast, fundamentalists worried that Christianity’s influence in American culture was rapidly ebbing, and modernists were abetting this loss. They complained that modernists, often criticized as partisans of a form of naturalism, were commandeering Christian denominations. Modernists were gaining strategic leadership positions in church hierarchies, boards, schools, and mission agencies. For their part, fundamentalists believed they urgently needed to halt the advance of modernists. They might be able to do this if they united together and forthrightly defended the “fundamental” doctrines of the faith (the number of which varied among fundamentalists). Some fundamentalists sought to drive modernists from denominations—especially northern Baptist and Presbyterian churches. In 1907, Lyman Stewart, a wealthy businessman and a founder of the Bible Institute of Los Angeles (now Biola University), reflected about a concern he said “had been on our hearts for some time, that of sending some kind of warning and testimony to the English-speaking ministers, theological teachers and students, and English-speaking missionaries of the world . . . which would put them on their guard and bring them into right lines again.” His driving motivation: stem the advance of liberalism. Between 1910–1915, a group of English, Canadian, and American theological conservatives published The Fundamentals: A Testimony to the Truth—a series of 12 booklets designed to uphold the truthfulness of the Christian faith by answering “the various forms of error so prevalent at the present day.” A. C. Dixon, Louis Meyer, and R. A. Torrey gave editorial leadership to the project. The last booklet, devoted to evangelism, emphasized another key purpose of the pamphlets: to encourage “Christians everywhere to more active effort and more earnest prayer for the conversion of a great number of the unsaved.” In a publishing blitz, more than 3 million pamphlets, “compliments of two Christian laymen” (brothers Milton and Lyman Stewart of the Union Old Company), were distributed free of charge to English-speaking Christian pastors, evangelists, missionaries, theological professors, YMCA and YWCA secretaries, Sunday school superintendents, and others in the United States, in the United Kingdom, and “throughout the earth.” The rhetorical tone of the booklets was moderate and not especially militant. In the General Assemblies of 1910, 1916, and 1923, the Presbyterian Church in the United States of America, Professor Machen’s own denomination, proposed five fundamental doctrines as “essential and necessary” to historic Presbyterian Christianity: (1) the inerrancy of Scripture in the original documents; (2) Christ’s virgin birth; (3) Christ’s vicarious atonement; (4) Christ’s bodily resurrection; and (5) the reality of biblical miracles. After World War I (1914–1918), the conflict between fundamentalists and modernists heated up dramatically. In 1919, the World’s Christian Fundamentals Association identified not five but 19 doctrines as “fundamental.” The list included as an indispensable, nonnegotiable fundamental “the personal, premillennial, and imminent return of our Lord and Savior Jesus Christ” (Article 7). The world seems set upon substituting Evolution for Creation, Principle animating cosmos for the Living God, Consciousness of the individual for the Authority of the Bible, Reason for Revelation, Sight for Faith, Social Service for Salvation, Reform for Regeneration, the Priest for the Prophet, Ecclesiasticism for Evangelism, the Human Jesus for the Divine Christ, and Ideal man-made society for the Kingdom of God, and Humanitarian efforts for the Eternity of Joy in God’s bright heaven. THEY ARE MONKEYING WITH THE BASIC FORMULAE OF THE TRUTH WHICH SHALL MAKE YOU FREE. In this contentious, heated religious environment, Charles Woodbridge arrived at the doorstep of Princeton Theological Seminary in the fall of 1924. At Princeton, he met Professor J. Gresham Machen (1881–1937). Professor B. B. Warfield, one of Machen’s mentors, had died in 1921. At the time, Machen commented, “Dr. Warfield’s funeral took place yesterday afternoon at the First Church of Princeton . . . It seemed to me that the Old Princeton—a great institution it was—died when Dr. Warfield was carried out.” However, in the eyes of many, Machen had assumed Warfield’s mantle as the principal defender of old-school Presbyterian theology. In 1921, Machen published The Origin of Paul’s Religion. He argued that the religion of Paul found its origins in the teachings of Jesus. Many modernists had denied this. Machen’s scholarship was impressive and compelling. His volume was reviewed in both the United States and Europe. In the sphere of religion, in particular, the present time is a time of conflict; the great redemptive religion which has always been known as Christianity is battling against a totally diverse type of religious belief, which is only the more destructive of the Christian faith because it makes use of traditional Christian terminology . . . But manifold as are the forms in which the movement appears, the root of the movement is one; the many varieties of modern liberal religion are rooted in naturalism—that is, in the denial of any entrance of the creative power of God (as distinguished from the ordinary course of nature) in connection with the origin of Christianity. On May 5, 1924, a number of Presbyterians belonging to Machen’s denomination published the Auburn Affirmation, “An Affirmation designed to safeguard the unity and liberty of the Presbyterian Church in the United States of America.” The affirmation was eventually signed by 1,293 Presbyterian pastors (with another 20 signatures as an addendum and one original signee who later asked that his name be removed). The authors of the document professed their full acceptance of the Westminster Confession, evangelical Christianity, and a belief in liberty of conscience. They specifically challenged the constitutional right of the General Assembly of 1923 to indicate that five fundamentals of the Presbyterian Church were binding church doctrine—for “these are not the only theories allowed by the Scriptures and our standards.” For example, regarding the doctrine of biblical inerrancy, they affirmed, “The doctrine of inerrancy, intended to enhance the authority of the Scriptures, in fact impairs their supreme authority for faith and life, and weakens the testimony of the church to the power of God unto salvation through Jesus.” Seriously perturbed by the Auburn Affirmation, Machen wrote a letter to The New York Times in which he severely criticized it. He considered that any Presbyterian pastor who signed it had violated his ordination vow. In time, Charles Woodbridge esteemed Dr. Machen not only as a great defender of the Christian faith but also as a theological mentor and a personal friend. They grew to know each other very well. Professor Machen often addressed Charles Woodbridge as “Charlie.” Like other Princeton students, Woodbridge sometimes affectionately addressed Professor Machen as “Das,” more frequently as Dr. Machen. Dr. Machen preached at both Woodbridge’s ordination to the Presbyterian ministry in the First Presbyterian Church of Princeton, New Jersey, and also his installation as pastor of the First Presbyterian Church of Flushing, Long Island. And in his will, J. Gresham Machen left $2,000 to Charles Woodbridge. Not only was Woodbridge a student of Machen at Princeton Seminary, but Machen also asked him to serve as the first general secretary of the Independent Board of Presbyterian Foreign Missions founded in June 1933. For more than three years, Woodbridge worked directly under Dr. Machen’s supervision as general secretary of the mission. Professor Machen was the president of the mission board. The two men exchanged tens of letters and met regularly. Woodbridge also acted as one of Machen’s three defense lawyers when the professor was put on ecclesiastical trial by the New Brunswick presbytery. The Presbyterian Church in the United States of America had ordered Machen to disband the mission, but he refused to do so. From the privileged vantage point of a trusted protege, Woodbridge observed up close Dr. Machen’s efforts to preserve what he thought constituted the doctrinal integrity of Princeton Theological Seminary and the Presbyterian Church in the United States of America. Professor von Harnack’s liberal theological influence was mediated to the United States in part through one of Harry Emerson Fosdick’s principal professors at Union Theological Seminary, the Protestant church historian A. C. McGiffert. McGiffert had studied under Professor von Harnack in Germany. Like his famous mentor Professor von Harnack, McGiffert emphasized a key theme of Protestant liberalism—the immanence of God. And like Professor von Harnack, Fosdick wrote a book titled What Is Christianity? In it, he also underscored the immanence of God, a theme highlighted by his professor, A. C. McGiffert. The unpublished memoirs of Charles J. Woodbridge contain a mine of colorful details about his early days in China as a missionary child; his Southern Presbyterian missionary father Samuel’s close relationship with Dr. Andrew Sydenstricker, Pearl Buck’s father in China; his father’s last-minute deliverance by a British gun ship from near-certain death at the hands of rebels of the Boxer Rebellion; his student frolics at Dwight L. Moody’s Mount Herman school for boys; the introduction his mother, Jeannie Wilson Woodrow, made of her best friend, Ellen Axson, to Woodrow Wilson, her first cousin and future president of the United States [Ellen Axson became Wilson’s first wife]; his career at Princeton University as a Phi Beta Kappa scholar and three-year All-American in soccer; his studies and intriguing conversations with Princeton Theological Seminary professor J. Gresham Machen; and his studies and conversations with the renowned German liberal theologian Adolph von Harnack at the University of Berlin. Sometimes in a markedly partisan fashion, Woodbridge projects in his memoirs a sprawling panoramic and contemporary view of Presbyterian, evangelical, and fundamentalist history. A host of notable personages such as Clarence Darrow, Pearl Buck, Dr. Samuel Zwemer, Dr. Henry Sloane Coffin, Dr. John R. Mott, Dr. J. Gresham Machen, Dr. Harry Ironside, Dr. William R. Newell, Dr. Robert E. Speer, Professor Adolph von Harnack, Professor Rudolf Bultmann, and Professor Ned Stonehouse all parade across the memoirs’ pages. Charles Woodbridge’s papers afford us glimpses of Professor Machen and Professor von Harnack we may have never seen before. In a number of the standard biographies of J. Gresham Machen, Charles J. Woodbridge is absent or briefly mentioned. Professor D. G. Hart’s Defending the Faith: J Gresham Machen and the Crisis of Conservative Protestantism in Modern America (1994) and Paul Wooley’s The Significance of J. Gresham Machen Today (1977) constitute well-crafted studies devoted to the life of J. Gresham Machen. They include no allusions to Charles J. Woodbridge. Nor does he appear in Bradley J. Longfield’s The Presbyterian Controversy: Fundamentalists, Modernists, and Moderates (1991). He is noted in the sturdy Machen biographies by Ned Stonehouse (1954) and Stephen J. Nichols (2004) and in Ed Rian’s richly documented The Presbyterian Conflict (1940). We continue our story in the fall of 1928. Charles Woodbridge had just spent a year as an exchange student in Germany. He had taken classes from Professor Adolph von Harnack at the University of Berlin and from Professor Rudolph Bultmann at Marburg, among other German theological luminaries. As a recently minted graduate of Princeton Theological Seminary and Princeton University [an MA in history], he assumed the pastorate of the First Presbyterian Church in Flushing, Long Island (1928–1932). He felt deeply honored that Professor Machen graciously preached his installation sermon at the church. Charles Woodbridge’s sermons preached at the Flushing church reveal that, like J. Gresham Machen, he viewed the inerrancy of Scripture as a “fundamental” doctrine of the Christian faith. The sermons also make clear that the central thrust of his ministry was preaching the gospel of Jesus Christ. In a sermon titled “Enduring Peace” (November 11, 1928), he noted, “The fact remains that today the world is seething. Unrest can be felt on every hand.” He cited, as one illustration among many of this seething, “the old hatred between France and Germany still persists.” In these circumstances, how might his parishioners find enduring peace? They needed to be “justified by faith alone.” Then they would experience peace with God—a peace not available in a seething world: “It is Christ who is our enduring peace,” Woodbridge declared. “If you haven’t accepted Christ as your Savior from sin, you’re at enmity with God” and thus do not enjoy genuine peace. In another sermon titled “Fear,” preached on February 22, 1931 (the Depression was in full swing), he observed, “I love to study people’s faces. It is a rare thing in New York City to find a face which is carefree and joyous. Life presses in on most of us. Many of us are just one step ahead of the sheriff, as one of our men put it . . . But perfect love casteth out fear.” He continued: “A perfect love for the risen Christ means a perfect trust in his redeeming work, and thus the assurance that nothing can separate us from the love of God, neither life, nor death . . . ” In one sermon, he indicated that if a person is not witnessing for Christ, he or she will not grow in the Christian life. In Flushing, Long Island, Charles Woodbridge practiced what he preached about witnessing. In his memoirs, he wrote, “A large part of my ministry was house-to-house visitation. My goal: one thousand visits per year. I was systematic. I kept records. I prayed, read the Bible, and witnessed for Christ in every household which would permit it. I offered to help those in trouble. New visitors began to attend our services every Sunday. The Lord honored the proclamation of his Word. Souls were being saved. It soon became apparent that we would need a larger sanctuary.” He also engaged in street preaching in New York City. What was the provenance of Woodbridge’s passion for gospel preaching and evangelism? As an undergrad at Princeton University, he lacked this passion; nor did he apparently evince this passion during a year spent teaching at a middle school in China before his matriculation at Princeton Theological Seminary in the fall of 1924. But during the years 1924 to 1927, the teaching and pastoral counsel of Professor Machen ignited in him a burning desire to serve the Lord in gospel ministry. Preaching on weekends and during every summer in small churches gave him an opportunity to put into practice what he was learning in the classroom. In his memoirs, Charles Woodbridge wrote, “Upon arriving at the seminary in 1924, I was duly matriculated by Rev. Paul Martin, affable and somewhat portly registrar of the school. Safely ensconced in Alexander Hall, I was expected to worship daily in Miller Chapel. Thus was the revered past made to live in the present.” After listing the rooms and a number of dorm mates on the fourth floor in Alexander Hall, he observed, “Then the little suite of a bachelor professor who, more than any man was to influence my thinking about the Christian gospel. He was Dr. J. Gresham Machen.” Machen played chess and checkers with the fellows in the hall. “Das” provided refreshments like cookies, nuts, and soft drinks to students who participated in his Checkers Club, which met in the “parlor” on Saturday nights. He won their admiration not only in the classroom but also through personal contacts in their living quarters. He loved clever humor and “stunts” (telling colorful and witty stories). He also offered free tickets as inducements to students to go with him to Princeton football games. During his three years at Princeton Theological Seminary, Woodbridge did not fully sense the titanic struggle taking place between theological conservatives and moderates for the control of the school. He wrote, “In retrospect, I find it strange that during my three years at the seminary I had little more than suspicions that all was not well in Presbyterian Zion.” Apparently, the professors and administration did not import their differing views about the future direction of their seminary into the classroom. Professor Machen, who was often at the center of the struggle for the control of the seminary, apparently said little about it to students. On October 21, 1924, a month after my arrival at the seminary, a student meeting was held in Miller Chapel. The inter-seminary movement in which Princeton was interested was sharply divided on doctrinal grounds. The question arose as to whether the Princeton men should quit the larger group and form their own organization, which would be true to the faith of their fathers. The building was packed. Arguments pro and con were presented. Professor Machen was present. I sat on a back pew, vaguely interested, studying my Hebrew assignment for the following day. A brief pause in the debate. “Where ignorance is bliss” I arose and made a brief speech, the gist of which was the whole subject under discussion was a matter of personality clashes rather than of doctrinal principles. I sat down and continued studying Hebrew. The students voted to withdraw from the inter-seminary movement. They subsequently formed their own League of Evangelical Students. On the way out of Miller Chapel, Dr. Machen said to me, and I shall never forget his subdued words: “In your speech tonight you were exactly 100 percent wrong!” I was furious. In genuinely neophytic fashion, I replied, “Dr. Machen, I did not have to come to this seminary at all. I could have gone elsewhere.” He mildly went his way. I quickly went to Ed Rian’s dormitory room in Brown Hall. Ned Stonehouse was there. I burst out, “Think of it, men. Dr. Machen had the audacity to tell me that I was completely wrong in what I said tonight!” My friends, more mature than I in these matters, quickly explained that Dr. Machen was right and I was wrong! For about an hour they told me exactly why I was wrong . . . Gradually over the three-year seminary period the seriousness of the doctrinal debate at the institution dawned on me. On April 13, 1927, I was ordained to the gospel ministry . . . My ordination took place in the First Presbyterian Church of Princeton, New Jersey . . . Six people participated in the ordination ritual. On the platform, presiding over the proceedings, was Dr. Sylvester Woodbridge Beach, pastor of the church and my father’s cousin. The two speakers, both professors at Princeton Seminary, were Dr. J. Gresham Machen, professor of Greek, who, more than any other scholar, helped to shape the theological convictions which I have held throughout my ministry, and Dr. Charles R. Erdman, professor of English Bible, who once presented me with a complete set of the Ante-Nicene Fathers. When the subsequent doctrinal debate at Princeton Seminary came to a dismal climax in 1929 . . . Dr. Machen and Dr. Erdman took diametrically opposing theological positions. The other person besides Dr. Machen who influenced Charles Woodbridge most tellingly regarding his evangelical beliefs—in this instance, in what he thought his beliefs should not be—was the great church historian and biblical scholar, Professor Adolph von Harnack. Professor von Harnack provided him with a firsthand, direct knowledge of Protestant liberalism, what Woodbridge came to think was a seriously flawed, naturalistic set of beliefs. But after they [Princeton students] have studied at Princeton, indeed even while they are studying here, the more they acquaint themselves with what opposing teachers say, the better it seems to us to be. We encourage our graduates, if they can, to listen to the great foreign masters of naturalistic criticism; we desire them to hear all that can be said against the gospel that we believe. No doubt such a program is full of perils. Might it not be safer for our future ministers to close their ears to all modern voices and remain in ignorance of the objections that the gospel faces in the modern world? We reply that of course it might be safer. It is safer to be a good soldier in comfortable barracks than it is on the field of battle. But the great battles are not won in that way. Thus, we encourage our students to be fearless in their examination of the basis of the faith. Dr. Machen particularly admired the superb quality of Professor von Harnack’s scholarship. Moreover, he appreciated von Harnack’s intellectual integrity demonstrated by a willingness to change his views if new persuasive evidence emerged. Addressing the Bible League of Great Britain (June 10, 1927), Machen declared (just before Charles Woodbridge departed for Germany): “You have the extraordinary phenomenon that scholars like Professor von Harnack, of Berlin, whose view as to the origin of Christianity is of a thoroughly naturalistic kind, as far removed as possible from that which is present in the Lucan writings, have been so much impressed by the argument from literary criticism that they have actually come to the traditional view that the gospel according to Luke was written by Luke the physician and companion of Paul.” Dr. Machen’s appreciation of von Harnack may have been enhanced by another fact: Professor von Harnack had favorably reviewed a number of Machen’s writings. While dismissing certain of Machen’s conclusions, von Harnack did appreciate Machen’s objectivity. Machen bound a collection of von Harnack’s reviews of his work in a packet and sent them to the German scholar. Dr. Machen may have been the person who suggested to Charles Woodbridge to study with Professor von Harnack in Berlin. On September 1, 1927, Charles Woodbridge sailed for Hamburg, Germany, on the SS Deutschland. During the summer of 1927, he had given himself a crash course in German grammar. Aboard ship, he enlisted “unsuspecting German passengers and beguiled them into teaching me conversational German in exchange for a smattering of English.” Then he studied German for six weeks at a language institute in Berlin and somehow passed a German proficiency exam that permitted him to take courses at the University of Berlin. He described the garret in Berlin where he lodged as “a miserable sort of hostelry where exchange students were supposed to eke out their dreary but frugal existence.” He continued: “The little gas kitchen stove in the apartment was temperamental. The bedroom was dark. The entire setup was unprepossessing.” Ed Rian, another Princeton graduate, a protege of Machen, and a close personal friend, was also studying in Berlin. On December 20, 1927, he presented me with his year-old booklet “The Assembling of Paul’s Letters.” On page 11, the author writes, “When I began the study of theology 37 years ago, no more than four Pauline epistles were regarded as genuine. Since then it has become otherwise.” He then lists additional letters which are almost universally recognized: 1 Thessalonians, Colossians, Philippians, and Philemon. And around his dining room table he told us, “If I had another lifetime, I should like to devote it to a study of the Pastoral Epistles” (1 and 2 Timothy and Titus). Woodbridge was impressed that Professor von Harnack, a man of apparent scholarly integrity, could revise his thinking when faced with compelling new evidence. The great German professor, however, had little patience with orthodox Christology. Charles Woodbridge on one occasion asked von Harnack, “Who was Jesus Christ?” Von Harnack brusquely replied, “The greatest man who ever lived.” Undaunted, Woodbridge posed a follow-up question: “Was Christ more than that?” Von Harnack repeated that Jesus was the greatest man who ever lived. He would not say that Jesus was God incarnate. Later, Woodbridge indicated that given the instruction he had received from Professor von Harnack, he was convinced that the critical issue residing at the very heart of the fundamentalist-modernist controversy was nothing less than the deity of Christ. He knew this, based on instruction from and direct conversations with the great German professor. By 1929, moderates had clearly triumphed at Princeton Theological Seminary, and they reorganized the school. Believing that “Old Princeton” had died, Machen, along with a number of other professors and students, left Princeton Theological Seminary. Machen founded Westminster Theological Seminary in Philadelphia. On March 4, 1930, Charles Woodbridge married Ruth Dunning, a daughter of a Presbyterian minister from Pennsylvania. Ruth had already served a term as a Presbyterian missionary in the French Cameroon, Africa. Charles and Ruth met on a blind date in New York City. In 1932, Charles and Ruth Woodbridge, along with their young daughter, Norma, headed for the French Cameroon. Time magazine carried an article on their departure accompanied by a photo of the three. In page after page of his memoirs, Woodbridge described in vivid detail the joys and perils of being a missionary in West Africa in the early 1930s. When Charles and Ruth arrived at their post, their little daughter came down with malaria. Moreover, they sadly learned that the missionary whom Charles had come to replace had just died—stung by a poisonous insect. On occasion, the Woodbridge family’s living quarters were invaded by armies of driver ants. Woodbridge was also struck down by malaria. Quinine tablets apparently helped restore his health. In addition, his little daughter recovered from her own bout of malaria. Woodbridge’s mission station shepherded 103 outposts. He rode a motorcycle deep into the jungle for weeks at a time, visiting many of these outposts scattered through the countryside. He learned to preach in Bulu, an African language. Ruth, having earlier served as a missionary in the French Cameroon, already knew some Bulu. As a single woman, she had taken care of missionary children and drove her own motorcycle deep into the jungles to minister at a leper colony. Many Africans came to saving faith in Christ due to the ministry of this couple. Charles and Ruth Woodbridge loved the Africans and were deeply committed to evangelistic outreach. Dr. Speer possesses a truly amazing power over the hearts and minds of men. There are many evangelical Christians, moreover, who think that the vast influence is truly to the advancement of belief in the Bible and of the clear propagation of the Christian Faith. With persons who think [like this] I disagree . . . The plain fact is that in the great issue of the day between Modernism and Christianity in the Presbyterian Church Dr. Speer is standing for a palliative middle-of-the road, evasive policy, which is in some ways a greater menace to the souls of men than any clear-cut Modernism could be. On June 14, 1933, Professor Machen sent to Charles Woodbridge a copy of his Modernism and the Board of Foreign Missions of the Presbyterian Church in the U.S.A. From this work and Machen’s correspondence, Woodbridge followed closely the intensifying dispute between Machen and Speer regarding the future direction and theological orientation of the Board of Foreign Missions back in the United States. Genuinely perplexed by this development, on July 13, 1933, Woodbridge wrote to Dr. Machen seeking counsel regarding what to do. In his letter, Woodbridge expressed “righteous indignation” concerning the way Machen and others had been treated at a recent meeting in Columbus, Ohio. Unbeknown to Woodbridge, Dr. Machen was at the very same time in the process of creating the Independent Board for Presbyterian Foreign Missions. On August 23, 1933, Rev. Roy T. Brumbaugh, a pastor of the First Presbyterian Church of Tacoma, Washington, wrote to Dr. Machen and suggested the name of Charles Woodbridge, among others, as a possible candidate for the position of general secretary of the Independent Board for Presbyterian Foreign Missions. You mention Charles J. Woodbridge as a possibility. Well, after receiving your letter I have received a letter from him which convinces me, when taken in connection with what I previously knew about him, that he would be a splendid General Secretary for the Board. His letter was entirely unsolicited. I had not written to him about the Board at all, but he had simply read the account of what happened at Columbus and was filled with a righteous indignation. He expressed himself as doubtful whether a man of his views can well serve longer under the present Board . . . I have known Woodbridge for years. He is the son of a very distinguished missionary family. When he first began his studies at Princeton Seminary, he stood rather against the League of Evangelical Students and was therefore somewhat inclined to side with the administration. But then he very frankly acknowledged his error, and his speech in defense of the League telling his reasons for his change of attitude was one of the most eloquent student speeches that I think I ever heard. During his year of study abroad, his evangelical conviction was even strengthened beyond what it had been before, by his contact with unbelief in the raw. At Flushing, Long Island, he made a wonderful success as a pastor. There was a tremendous evangelical fervor about his preaching which was mightily used for the saving of souls. He is quite unswerving in his devotion to the evangelical cause in the church . . . He is just exactly the type of man which will appeal to evangelistic pastors in the membership of the Board. Of one thing I am sure—if he should promote the work of the Board, there will be no question about its wide popular appeal among Bible-believing Christians in the church. Woodbridge is just one of those men upon whom God has laid His hand—a man of real power such as one seldom sees in these times. Dr. Machen then wrote a letter dated September 18, 1933, to Charles Woodbridge. Quite discouraged, Woodbridge described the letter as one of cheer and encouragement. After all, the letter came from a person whom Woodbridge profoundly admired—J. Gresham Machen. In his letter, Dr. Machen asked Woodbridge to consider becoming the general secretary of the Independent Board for Presbyterian Foreign Missions. For the rest of his days, Woodbridge treasured Machen’s carefully worded and evangelically suffused invitation as one of his prized possessions. The letter provides us with another privileged glimpse into Machen’s life and thought. We turn to a brief review of its more salient points. At Columbus last May, it seemed perfectly clear to [H. McAllister] Griffiths and to me, as well as to others who were there, that if we really love the Bible and the gospel of our Lord Jesus Christ, the time for mere words was past and the time for really self-sacrificing action had come. We can criticize the [New York] Board all we please; we can point out its obvious unfaithfulness; we can express our longing for a really Christian and really Presbyterian missionary activity: but all this has no more effect than the wind blowing unless we prove our faith by our works and really proceed to show the Bible-believing people in our church how they can carry the gospel to the ends of the earth in a way which is obviously impossible under the official Mission Board. I understand perfectly well that from a worldly point of view that would seem to be to ask a man to take a terrible risk. But neither you nor I nor any of the rest of us is looking at this thing from the worldly point of view. Westminster Seminary frequently does not have the money to pay our salaries until almost the very day when the salaries become due. Yet it is an established institution, and we have found that God has provided for us more surely than provision made through endowment or the like. I need not point also to the example of the China Inland Mission, and other faith missions, since you know more about them than I do, and since you know that God in their case has graciously supplied the needs of His own work. EXECUTIVE COMMITTEE OF INDEPENDENT BOARD FOR PRESBYTERIAN FOREIGN MISSIONS HAS DECIDED TO NOMINATE YOU FOR GENERAL SECRETARY OF BOARD AT BOARD MEETING ON OCTOBER SEVENTEENTH (STOP) I AM TAKING THE LIBERTY OF INFORMING YOU OF THIS AND OF ASKING YOU WHETHER YOU WOULD CONSIDER THE INVITATION OF THE BOARD FAVORABLY (STOP) A WONDERFUL OPPORTUNITY IS OFFERED TO STIR THE LATENT FIRES OF MISSIONARY AND EVANGELISTIC ZEAL, AND YOU ARE THE ONLY MAN WHO CAN BE THE INSTRUMENT IN DOING THIS GREAT WORK (STOP) DOCTOR BUCHANAN IS QUITE AGREED WITH INVITATION (STOP) ED RIAN ESPECIALLY DESIRES TO JOIN IN URGING YOU (STOP) J GRESHAM MACHEN. I AM EAGERLY WAITING YOUR REPLY TO LETTER SENT SEPTEMBER EIGHTEENTH (STOP) DECISION TO ACCEPT INVITATION OF COURSE NOT NECESSARY NOW BUT EARNESTLY HOPE THAT YOU WILL SAY THAT YOU WOULD CONSIDER SUCH INVITATION FAVORABLY (STOP) DOCTOR BUCHANAN AND I HAVE WRITTEN AT LENGTH BUT LETTERS WILL ARRIVE AFTER BOARD MEETING (STOP) YOU ARE CHIEF HOPE OF THIS GREAT CAUSE (STOP) J GRESHAM MACHEN. ACCEPT INVITATION PLEASE CABLE DECISION WOODBRIDGE. YOUR TELEGRAM RECEIVED REJOICE GREATLY WILL CABLE ACTION OF BOARD. I DESIRE TO ASSURE YOU THAT YOUR COMING IS AWAITED WITH GREAT ENTHUSIASM AND THAT WE BELIEVE WONDERFUL THINGS TO BE IN STORE. GENERAL COUNCIL ASSEMBLY AND BOARD MEMBERS AND OFFICERS . . . CANNOT ACCEPT WOODBRIDGE RESIGNATION. In a cable, Professor Machen urged Woodbridge to accept an invitation to speak at a missions conference at Moody Bible Institute right after his return to the United States. Machen indicated that doing so would give Woodbridge a significant platform for advancing the cause of missions. Machen did not hesitate to make this recommendation, even though Moody Bible Institute advocated dispensational theology. Though an orthodox Presbyterian, Machen felt quite comfortable supporting other Christians who upheld the fundamentals of the faith. Success almost immediately greeted the Independent Board for Presbyterian Foreign Missions in acquiring donations and in enlisting missionaries to go out under its auspices. Mr. Arthur Dieffenbacher, a friend of John Stam, was the first missionary. A man of remarkable evangelistic zeal, he served faithfully in China. During World War II, he lost his life as an army chaplain on July 4, 1944, soon after the Normandy invasion of France. On the transport ship to Europe, he and two other chaplains had led 84 men to the Lord. Dr. Machen’s dealings with Dr. Speer were exasperating. When he challenged him with pure logic, Dr. Speer replied with bold but irrelevant assertions. I was lunching one day with Dr. Machen. He produced a letter he had just received from Dr. Speer. He had written Dr. Speer inquiring why the Presbyterian Mission Board could tolerate the unbiblical teachings of Miss Kirkland. Dr. Speer, dodging the question, replied to the effect that Miss Kirkland was an invalid and needed the prayers of Christians. Dr. Machen wrote again, expressing his sympathy for Miss Kirkland but pressing his point about the Presbyterians’ acceptance of her heresy. To which inquiry Dr. Speer replied that Dr. Machen was clearly a bitter man, and that further correspondence with him would be to no avail. Machen: The Board of Foreign Missions has retained a signer of the Auburn Affirmation as candidate secretary. Supporters of the board: Dr. Robert E. Speer is a splendid Christian gentleman. Machen: You are wandering from the question. What I said was that the Board of Foreign Missions has retained a signer of the Auburn Affirmation as candidate secretary. Supporters of the board: Dr. Machen, you are very bitter man. Earlier in 1934, the ecclesiastical roof had begun to cave in on the Independent Board. In that year, the General Assembly of the Presbyterian Church in the U.S.A., in its meeting in Cleveland, Ohio, issued a “mandate” proclaiming that the Independent Board was unconstitutional. It ruled that a “church member or an individual church that will not give to promote the officially authorized missionary program of the Presbyterian Church is in exactly the same position with reference to the constitution of the church as a church member or an individual church that would refuse to take part in the celebration of the Lord’s Supper.” This ultimatum appeared blasphemous to Charles Woodbridge. Like Dr. Machen, he thought it put institutional authority above the teachings of Scripture. In his memoirs, he wrote, “The Cleveland Assembly continued to apply its meat axe! It ordered the Independent Board’s dissolution, demanded that all Presbyterian members of the board resign, and asked presbyteries to proceed to disciplinary action against any Presbyterian board members who proved recalcitrant! We were granted ninety days in which to comply with this iniquitous decree.” Thereafter, multiple ecclesiastical trials ensued. In his memoirs, Woodbridge described Dr. Machen’s trial of February–March 1935 in considerable detail. He served as one of Dr. Machen’s three defense lawyers. He also noted headlines from across the country referring to both men and women put on trial or otherwise disciplined. Dr. Machen was found guilty on six charges and “suspended” from the ministry. J. Oliver Buswell Jr., the president of Wheaton College; Carl McIntire; and others experienced the same fate. Pages of Woodbridge’s memoirs relate details about these happenings and his own trial. My profession of faith is simply that I know nothing of the Christ proclaimed through the Auburn Affirmation . . . I know nothing of a Christ who is presented to us in a human book containing errors, but know only a Christ presented in a divine Book, the Bible, which is true from beginning to end. I know nothing of a Christ who possibly was and possibly was not born of a virgin, but know only a Christ who was truly conceived by the Holy Ghost and born of the Virgin Mary. I know nothing of a Christ who possibly did and possibly did not work miracles, but know only a Christ who said to the winds and the waves, with the sovereign voice of the Maker and Ruler of all nature, “Peace, be still.” I know nothing of a Christ who possibly did and possibly did not come out of the tomb on the first Easter morning, but know only a Christ who triumphed over sin and the grave and is living now in His glorified body until He shall come again and I shall see Him with my very eyes. I know nothing of a Christ who possibly did and possibly did not die as my substitute on the cross, but know only a Christ who took on Himself the just punishment of my sins and died there in my stead to make me right with the holy God. I sat in the gallery of the Central High School of Syracuse, New York, when the Permanent Judicial Commission of the Presbyterian Church in the U.S.A. delivered its ultimate verdict . . . It found us “guilty” of all charges leveled at us [Judicial Case N. 1] . . . When the sound and fury of the Commission’s diatribe had ceased and the audience, seemingly greatly impressed, was vacating the Central High School of Syracuse, a portly gentleman of florid countenance approached me and put his arm around my shoulder. He was Dr. J. Ross Stevenson, president of Princeton Theological Seminary. He had known me since my Princeton University days, but apparently he did not know me very well. He asked me, with a look of victorious satisfaction, “Why do you not give up all this foolishness? We’ll be glad to give you a fresh start.” To this helpful suggestion, I replied, “Only if you will discipline the Auburn Affirmationists in the church.” Impatiently he dropped his arm, shook his ample double chin, shrugged his well-rounded shoulders, managed [a] sniff of disgust, and walked away in disdain. I have never seen Dr. Stevenson again. His ecumenical bias, he knew quite well, was permeating the Presbyterian Church with astonishing rapidity. During these very trying days of 1935–1936, Dr. Machen and Charles Woodbridge kept in close personal contact. In his memoirs, Woodbridge described Machen’s visit to the family home after the birth of the Woodbridges’ baby girl. Ever the gentleman, Machen asked Ruth and Charles for permission to touch the baby’s cheek as if the baby were a little angel from heaven. Woodbridge noted that within a year, Dr. Machen would himself be in heaven. We met in the New Century Club of Philadelphia on June 11, 1936—ministers, elders, and members of the Presbyterian Church in the U.S.A. The chairman asked how many in attendance desired to affiliate themselves as forming the new church. About two hundred people stood to their feet; and while they remained standing, the president officer declared the Presbyterian Church of America to be constituted. Ministers and elders who wished to be a part of the general assembly of the new church then stood, and that ecclesiastical organization was duly and legally constituted. The Presbyterian Church of America was now a going concern . . . To the great delight of all assembled, Dr. Machen was elected moderator of the new church. He was nominated by Dr. Gordon H. Clark, professor at the University of Pennsylvania, who described him as a scholar and a gentleman, a man who when reviled, reviled not again. Dr. Clark stated concerning his nominee, “He defended Christianity against his enemies, not by imitating their campaign of personal defamation, but by defending Christianity like a Christian gentleman.” The protracted applause which greeted these elegant words revealed the confidence which we all felt in our hour of supreme joy and relief in the leadership of a great man of God who, in the opinion of us all, had been persecuted for righteousness’ sake. At 7:30 p.m. on January 1, 1937, J. Gresham Machen, the stalwart, orthodox Presbyterian, went to be with his Lord and Savior whom he had served so well in this life. Charles Woodbridge’s largely behind-the-scenes glimpses and perceptions of Professors J. Gresham Machen and Adolph von Harnack are just that—glimpses and perceptions. We need to consult perspectives from additional primary sources and rich secondary literatures to gain a fuller picture of the two men. We especially need to include the compelling concerns and arguments of well-respected Presbyterians such as Pastor Clarence Edward Macartney and a number of Westminster professors who believed Machen had seriously erred in establishing the Independent Board for Presbyterian Foreign Missions. What might we learn from Charles Woodbridge’s personal glimpses of Machen and von Harnack? Perhaps our modest reception history of Woodbridge’s perceptions of these two iconic figures does felicitously humanize them a bit more and fills in a number of gaps in our understanding. It reveals that Professors Machen and von Harnack admired each other. It suggests that both men were on occasion subjected to harsh criticisms. Moreover, it emphasizes the point that Machen was motivated by a desire to remain faithful to the Lord both in his church life and scholarship, no matter the cost. He combined a rare commitment to world-class Christian scholarship and to worldwide Christian missions. He was deeply troubled by the fact that the herculean struggle between Christianity and liberalism not only stirred the northern Presbyterian Church in the United States, but also in the theatres of the Presbyterian mission fields stretching from China (Pearl Buck) to the French Cameroon in West Africa. 1. Students at Princeton Theological Seminary in the years 1924–1927 apparently had scant knowledge of the struggle between Professor Machen and members of the administration regarding the direction of the school. I can’t put into words all that the friendship and teaching of Dr. Machen has meant to me personally. In all our close and intimate friendship I have never heard him enter upon a tirade against any man who was opposed to him in the theological fight. He never went into personal attacks against his foes, but always attacked the principles and practices of those who in any way deviated from the teaching of the Word of God. Vituperation he left to his enemies, and I suppose there has been no man of our generation more unjustly maligned and misrepresented by those who were supposed to be orthodox than he. 3. Machen deemed individuals like Dr. Robert E. Speer—those he characterized as “evasive” tolerant moderates—as even more dangerous than Professor Adolph von Harnack, whom he viewed as a naturalist. Dr. Machen feared that “tolerant” evangelicals would prompt Bible-believing evangelicals to trust modernists’ teachings. Their alleged “indifferentism” toward those who did not affirm orthodox doctrines could imply that doctrines were not fundamental to the Christian faith after all. Machen wrote, “Indifferentism about doctrine makes no heroes of the faith.” Machen expressed feelings of frustration about modernists and moderates who were severely hampering Presbyterian Bible believers from being able to support evangelical missionaries overseas. 4. Machen was no obscurantist when it came to engagement with unbelieving world-class scholarship. He admired Professor von Harnack’s writings. He recommended that Princeton students encounter unbelief in its “raw form.” Whereas some fundamentalists like evangelist Billy Sunday did make outlandish statements critical of higher education, Machen extolled the merits of a first-class education, including the study of science. Be it noticed that the candidates do not subscribe to the Reformed system of doctrine merely as one allowable system among many allowable systems. They do not even merely subscribe to it as the best system. But they subscribe to it as the system that is true. Being true, it is true for Methodists and Lutherans just as much as Presbyterians, and we cannot treat as of no moment the differences which separate us from Methodists and Lutherans without being unfaithful to the Word of God. Does that mean that we cannot have Christian fellowship with our Methodist or our Lutheran brethren? It means nothing of the kind. On the contrary, we can have very precious fellowship with them. He continued by extolling the “Christian fellowship that I have enjoyed with many of my Lutheran brethren, especially those of the ‘Missouri Synod.’ How often when I have felt tempted to be discouraged, has some message come to me from them bidding me be of good courage and remember that the battle is the Lord’s!” Moreover, Charles Woodbridge was a premillennialist during the time he served as the general secretary for the Independent Board for Presbyterian Foreign Missions. Machen even lauded the Roman Catholic Church for its high view of the authority of Scripture. The Bible is the Magna Charta of human liberty . . . When it is abandoned, tyranny stalks unchecked. When the Bible is no longer thought to be inerrant, the decisions of church assemblies are exalted above it. Thus the word of man is exalted above the Word of God. What should be done when the machinery of the church thus pushed itself between the Christian and Christ? The Christian must seek Christ again at any cost, and must yield implicit obedience to His command alone. We must allow nothing to stand between us and Christ—no ecumenical council, no presbytery, no synod, no general assembly. Harry Emerson Fosdick, “Shall the Fundamentalists Win?” Christian Work 102 (June 22, 1922): 716–22. Concerning Fosdick’s sermon, see Robert Miller, Harry Emerson Fosdick, Preacher, Pastor, Prophet (New York: Oxford University Press, 1985), 116–17, 130, 158. Princeton theologians like B. B. Warfield, often portrayed as the originators of a “fundamentalist” view of biblical inerrancy in the original autographs, did not in fact uphold a mechanical dictation theory of biblical inspiration. See Bradley N. Seeman, “The ‘Old Princetonians’ on Biblical Authority,” in The Enduring Authority of the Christian Scriptures, ed. D. A. Carson (Grand Rapids: Eerdmans, 2016), 195–227; Fred G. Zaspel, The Theology of B. B. Warfield: A Systematic Summary (Wheaton, IL: Crossway, 2010), 111–75; Paul Helseth, Right Reason and the Princeton Mind: An Unorthodox Proposal (Phillipsburg, NJ: P&R, 2010). The premise of lost “original documents of Scripture” did not constitute a useless belief. It recognized that the infallible “autographs” of Scripture no longer exist but could be very closely reconstituted through lower textual criticism—a practice extending back to the Patristic Period (see Augustine’s letter to Faustus the Manichean, Letters of St. Augustine, 82:3: “I confess to your Charity that I have learned to yield this respect and honor only to the canonical books of Scripture: of these alone do I most firmly believe that the authors were completely free from error. And if in these writings I am perplexed by anything which appears to me opposed to truth, I do not hesitate to suppose that either the manuscript is faulty, or the translator has not caught the meaning of what was said, or I myself have failed to understand.”). For a persuasive revisionary assessment of the career of William Jennings Bryan and the Scopes Trial, see Edward Larsen, Summer of the Gods: The Scopes Trial and America’s Continuing Debate over Science and Religion (New York: Basic, 2006). Larsen traces the history of perceptions of the Scopes Trial in the 20th century and beyond. The William Jennings Bryan described in his account does not match the laughingstock caricatures of Bryan displayed in a film like Inherit the Wind and in some secondary literature. Standard works on the history of fundamentalism include insider perspectives of David Beale (In Pursuit of Purity: American Fundamentalism Since 1850 [Greenville, SC: Bob Jones University Press, 1986]) and George Dollar (A History of Fundamentalism in America [Greenville, SC: Bob Jones University Press, 1973]), as well as outsider perspectives of George Marsden (Fundamentalism and American Culture [New York: Oxford University Press, 2006] and Joel Carpenter (The Reawakening of American Fundamentalism [New York: Oxford University Press, 1991]). In What Is Christianity? Professor Adolph von Harnack had advocated a form of naturalism: “We are firmly convinced that what happens in space and time is subject to the general laws of motion, and that in this sense, as an interruption of the order of Nature, there can be no such things as ‘miracles’” (What Is Christianity? 2nd ed. [1901, repr., New York: G. P. Putnam’s Sons, 1908], 28–29). The controversy did reach into other Christian groups such as the Southern Baptist Convention and Methodist churches. Cited in Paul W. Rood II, “The Untold Story of the Fundamentals,” Biola Magazine (Summer 2014), http://magazine.biola.edu/article/14-summer/the-untold-story-of-the-fundamentals (accessed May 15, 2017). Historian George Dollar proposed that the only authentic fundamentalist was a dispensationalist premillennialist. He viewed a Presbyterian such as Professor J. Gresham Machen as an “orthodox ally.” For Dollar’s comparison of “fundamentalists” and “orthodox allies,” see his A History of American Fundamentalism (Greenville, SC: Bob Jones University Press, 1973), 181–83. Curtis Lee Laws, “Convention Sidelights,” Watchman-Examiner 8 (July 1, 1920): 834. References to the controversy filled columns of the nation’s newspapers from Berkeley, California, to Boston, Massachusetts. From an advertisement in the Lebanon Daily News, December 16, 1922, 1. “South Baptists Flay Modernism: Fundamentalism Is Stoutly Reaffirmed in Resolution Introduced,” Joplin Globe, May 16, 1924, 1. See “Religious Rivals Warned to Find Common Ground,” Waterloo Evening Courier, March 24, 1923. “An Assault upon Learning Fundamentalist Movement Attacked by Dr. Albert C. Dieffenbach of Boston,” Lowell Sun, June 7, 1923. “Fundamentalism—Menace to Protestantism’s Teaching Says Rev. S. Arthur Huston,” San Antonio Express, June 18, 1923. Quoted in Ned B. Stonehouse, J. Gresham Machen: A Biographical Memoir (Grand Rapids: Eerdmans, 1954), 310. J. Gresham Machen, Christianity and Liberalism (1923; repr., Grand Rapids: Eerdmans, 2009). Quoted in Stonehouse, J. Gresham Machen, 342. Machen, Christianity and Liberalism, 2. Walter Lippmann, A Preface to Morals (New York: Macmillan, 1929), 32. “Historic Documents in America Presbyterianism: The Auburn Affirmation,” www.pcahistory.org/documents/auburntext.html (accessed May 15, 2017). See Edwin H. Rian, The Presbyterian Conflict (Grand Rapids: Eerdmans, 1940), 17–51; Stonehouse, J. Gresham Machen, 365. J. Gresham Machen, What Is Christianity? A Selection if Notable Addresses by a Noble Defender of the Faith, ed. Ned B. Stonehouse (1951; repr., Birmingham, AL: Solid Ground, 2013), 185–200. See Paul Woolley, The Significance of J. Gresham Machen Today (Nutley, NJ: Presbyterian and Reformed, 1977), 5. Von Harnack, What Is Christianity? ; see Martin Rumscheidt, ed., Adolf von Harnack: Liberal Theology at its Height (London: Collins, 1989), 126–226. Von Harnack, What Is Christianity? 55. In his 1924 critical review of McGiffert’s The God of the Early Christians, J. Gresham Machen wrote, “The truth is that the antitheistic religion of the present day—popularized by preachers like Dr. Fosdick and undergirded by scholars such as the author of the brilliant book [McGiffert] which we have just attempted to review—the truth is that this antitheistic Modernism, which at least in one of its characteristic forms, takes the man Jesus of naturalistic reconstruction as its only God, will have to stand at last upon its own feet. With the historic Christian church, at any rate, it plainly has little to do” (cited in D. G. Hart, ed., J. Gresham Machen: Selected Shorter Writings [Phillipsburg, NJ: P&R, 2004], 505–6). D. G. Hart, Defending the Faith: J. Gresham Machen and the Crisis of Conservative Protestantism in Modern America (Phillipsburg, NJ: P&R, 2003); Woolley, Significance of J. Gresham Machen Today. Bradley J. Longfield, The Presbyterian Controversy: Fundamentalists, Modernists, and Moderates (New York: Oxford University Press, 1991). Stonehouse, J. Gresham Machen: A Biographical Memoir; Stephen J. Nichols, J. Gresham Machen: A Guided Tour of his Life and Thought (Phillipsburg, NJ: P &R, 2004); Rian, Presbyterian Conflict. In his personal memoirs, Woodbridge wrote, “I am particularly glad I could listen at length to Dr. Bultmann.” He took copious notes of Bultmann’s lectures. On March 12, 1931, Machen playfully wrote Charles Woodbridge, thanking him for an overly generous honorarium for speaking at his church: “If l had not had the conversation on the Long Island platform last Sunday night, I should certainly have returned your generous check, which you enclose with your letter of March 10th. But you tell me that the check came from the church and not from you. If it came from the church, I don’t see why the church treasurer didn’t sign it, but at the same time I don’t like to charge you with prevarication! I should hate to have you think that you couldn’t call me in to preach for you whenever you think the congregation can stand it, without providing an honorarium. The upshot of the matter is that I am turning the check over to Westminster Seminary as a little contribution. It ought to be a contribution from you instead of from me, but we’ll not start a theological controversy on that point. It was the greatest possible privilege for me to preach for you last Sunday” (archives of the Montgomery Library at Westminster Theological Seminary, Philadelphia PA [Machen/Woodbridge correspondence, Box 30–31]). Charles Woodbridge’s sermons are located in the personal archives of the author. In Christianity and Liberalism (1923), Machen had written (p. 62), “Before the full authority of the Bible can be established, therefore, it is necessary to add to the Christian doctrine of revelation the Christian doctrine of inspiration. The latter doctrine means that the Bible not only is an account of important things, but that the account itself is true, the writers having been so preserved from error, despite a full maintenance of their habits of thought and expression, that the resulting Book is the ‘infallible rule of faith and practice.’” Machen also contested Fosdick’s charge that those who believed in biblical inerrancy upheld a “mechanical dictation theory of inspiration”; see also J. Gresham Machen, The Christian Faith in the Modern World (Grand Rapids: Eerdmans, 1936), 23–86. On Professor Machen’s personal relationships with Princeton Theological Seminary students see Woolley, Significance of J. Gresham Machen Today, 2–5. See Rian, Presbyterian Conflict, 37–56; Stonehouse, J. Gresham Machen, 382–429. Personal memoirs of Charles Woodbridge. Dr. J. Ross Stevenson became president of Princeton Theological Seminary in 1914 (see Woolley, Significance of J. Gresham Machen Today, 11–12). Sylvester Woodbridge Beach (1852–1940), pastor of the First Presbyterian Church in Princeton, presided over the funeral of President Woodrow Wilson, former president of Princeton University and the first cousin of Charles Woodbridge’s father. Charles R. Erdman (1886–1960) was moderator of the Presbyterian Church in America (see Longfield, Presbyterian Controversy, 6–7, 227–28). From the early 19th century until Charles Woodbridge’s own day (1920s), more than 9,000 Americans had traveled to Germany to pursue theological studies. Quoted in Hart, J. Gresham Machen, 316–17. Quoted in Nichols, J. Gresham Machen, 32–34. Cited in Hart, J. Gresham Machen, 46. Rian and Woodbridge attended parties together in Berlin. They traveled together through Europe. The Woodbridge archives contain numerous photos of the two men together. Rian later wrote The Presbyterian Conflict (1940). Archives of the Montgomery Library at Westminster Theological Seminary, Philadelphia, PA (Machen/Woodbridge correspondence, Box 27–28). Ibid., letter from Charles Woodbridge to Dr. Machen dated March 28, 1928. Woodbridge added, “Stevenson, who himself studied under von Harnack, said you were ‘temperamentally unfit’ to fill that apologetics chair. That statement . . . proves one of two things. 1. Either he has never read your ‘Origins’ or 2. He is very, very ignorant.” In June 1928, Professor Machen wrote back to Woodbridge, “Your letter, which I have read and re-read, has been an immense encouragement to me. In these days when one meets with such a blank lack of comprehension for the things which seem to us important, it is indeed refreshing to find men like you who think our labors at Princeton have not been altogether in vain. I do feel highly honored by the way in which you speak of me, and I am profoundly grateful to you for the warmth and generosity with which you give expression to your feeling not only about me but about our beloved Princeton.” Machen explained in the letter what was taking place in the struggle for control of the seminary (archives of the Montgomery Library at Westminster Theological Seminary, Philadelphia, PA [Machen/Woodbridge correspondence, Box 27–28]). ln his The Origin of Paul’s Religion (6–7, 26, 33–36, 98, 119, 263, 273), Machen specifically interacted with van Harnack’s writings. In 1926, Geerhardus Vos had published The Self-Disclosure of Jesus: The Modern Debate about the Messianic Consciousness (1926, repr. Phillipsburg, NJ: P&R, 2002). Quoted in Hart, J. Gresham Machen, 446. On the founding of Westminster Theological Seminary, see Rian, Presbyterian Conflict, 37–71; J. Gresham Machen, “Westminster Theological Seminary: Its Purpose and Plan,” in J. Gresham Machen, ed. Hart, 187–94. On July 24, 1929, Woodbridge wrote to Dr. Machen, “Have just been reading in the NY Times headlines regarding the new seminary. Delighted to hear about your meeting in Philadelphia. The publicity it is getting will be of incalculable value in the acquiring of funds for the seminary. I am confident that many of the students will join with you in the new venture. Thank God for men of conviction who are willing to act on their convictions . . . May God bless you in these strenuous days. With real affection—Ever sincerely, your friend Charlie” (archives of the Montgomery Library at Westminster Theological Seminary, Philadelphia PA [Machen/Woodbridge correspondence, Box 28–29]). Robert E. Speer, The Finality of Christ (New York: Revell, 1932); see J. Gresham Machen, “Dr. Robert E. Speer and His Latest Book,” Christianity Today 4.1 (May 1933): 15–16, 22–26. Machen and Speer had recently debated each other (see “Machen-Speer Debate—Historic Event in Presbyterian Church,” Christianity Today 3.12 [April 1933]: 19–23). On Robert E. Speer, see John F. Piper, Robert E. Speer (Louisville: Westminster John Knox, 2014). Machen, “Dr. Robert E. Speer and His Latest Book”; see Pearl S. Buck, “Is There a Case for Foreign Missions?” Harper’s Magazine 166 (January 1933): 143–55. Archives of the Montgomery Library of Westminster Theological Seminary, Philadelphia, PA (Machen/Woodbridge correspondence, Box 1932–33). Machen drew up this work in part as a response to the Board of Foreign Missions for its support and endorsement of the publication of William Ernest Hocking’s Re-Thinking Missions: A Laymen’s Inquiry after One Hundred Years (New York: Harper, 1932). This latter volume denied that Jesus is the only way, the truth, and the life: “Whatever its [Christianity’s] present conception of the future life, there is little disposition to believe that sincere and aspiring seekers after God in other religions are to be damned: it has become less concerned in any land to save men from eternal punishment than from the danger of losing the supreme good” (p. 19). Christianity should be less concerned with other religions like Islam, Hinduism, or Buddhism than with the menace of materialism, secularism, and naturalism (p. 29); see Rian, Presbyterian Conflict, 87–102. Archives of the Montgomery Library at Westminster Theological Seminary, Philadelphia, PA (Machen/Woodbridge correspondence, Box 1933–34). Copy of the letter found in the author’s personal archives. Ibid. (Original of letter from Machen to Woodbridge in the personal archives of the author). Machen wrote, “We do not mean, in insisting upon the doctrinal basis of Christianity, that all points of doctrine are equally important. It is perfectly possible for Christian fellowship to be maintained despite differences of opinion” (Christianity and Liberalism, 40–41). See “This Day in Presbyterian History: July 5: Arthur J. Dieffenbacher,” July 5, 2013, www.thisday.pcahistory.org/2013/07/july-5-arthur-j-dieffenbacher (accessed May 15, 2017). J. Gresham Machen, “The Changing Scene and the Unchanging Word,” The Presbyterian Guardian (April 6, 1936), 2. Accounts of these trials are scattered through The Presbyterian Guardian. The 1934 mandate was confirmed by the General Assembly of 1936. “The Continuing Story: Dr. Machen’s Profession of Faith,” June 28, 2011, https://continuing.wordpress.com/2011/06/28/dr-machens-profession-of-faith (accessed May 15, 2017). Harry Emerson Fosdick, “The Church Must Go Beyond Modernism,” Riverside Sermons (New York: Harper and Brothers, 1958), 362. Ibid., 362. Fosdick feared what would happen if Christianity adapted itself to “contemporary nationalism, contemporary imperialism, contemporary capitalism, contemporary racialism” (p. 361). Regarding the Syracuse meetings, see “Syracuse Swan Song: The 148th General Assembly: A Description and an Interpretation,” The Presbyterian Guardian (June 22, 1936), 112, 118–39. Personal memoirs of Charles Woodbridge. See also J. Gresham Machen, “The Church of God: A Sermon Preached at the Concluding Service of the General Assembly of the Presbyterian Church of America in the New Century Club, Philadelphia, Sunday Evening, June 14th, 1936,” The Presbyterian Guardian (July 6, 1936), 152–56; see also Robert S. Marsden, “The First Ten Years: The Orthodox Presbyterian Church 1936–1946,” https://opc.org/books/FirstTenYears.html (accessed May 15, 2017). Charles J. Woodbridge, “Why I Have Resigned as General Secretary of the Independent Board,” The Presbyterian Guardian (June 12, 1937), 70, www.opc.org/cfh/guardian/Volume_4/1937-06-12.pdf (accessed May 15, 2017). Archives of the Montgomery Library of Westminster Theological Seminary, Philadelphia, PA (Machen/Woodbridge correspondence, Box 1935–36). For an account of Machen’s death, see Stonehouse, J. Gresham Machen, 506–8. See Stonehouse, J. Gresham Machen, 496–97; see also Nichols, J. Gresham Machen, 196–98; James A. Patterson, “Robert E. Speer, J. Gresham Machen, and the Presbyterian Board of Foreign Missions,” American Presbyterians 64:1 (Spring 1986): 58–68. Several Westminster professors feared the new mission board, among other things, might hinder the acceptance of Westminster graduates as pastors in the Presbyterian Church in the U.S.A.
 William Hocking’s Re-thinking Missions provides an extensive report on Christian world missions that is replete with modernist themes. For example, it reads, “The concept that God is a [102/103] loving father and that all men are brothers grips the imagination even though orientals realize that such concepts are rarely carried out in the lives of western people” (p. 246). Machen, Christianity and Liberalism, 42. Quoted in Hart, ed., J. Gresham Machen, 116. J. Gresham Machen, “What Is Orthodoxy?” in “The Changing Scene and the Unchanging Word,” The Presbyterian Guardian (October 21, 1935): 38. On February 1, 1935, Machen proposed to Woodbridge additions to his article “Sham Orthodoxy Versus Real Orthodoxy” destined for the Independent Board Bulletin: “What Sham Orthodoxy Says: Whether a man is a Modernist or not is determined by the kind of sermons he preaches; he is orthodox if he preaches orthodox sermons. What Real Orthodoxy Says: Whether a man is a Modernist or not is determined by the way he votes in presbytery and at the General Assembly; he is a Modernist, no matter what kind of sermons he preaches, if he votes with the Auburn Affirmationists in the great issues of the day” (archives of the Montgomery Library at Westminster Theological Seminary, Philadelphia, PA [Machen /Woodbridge Correspondence, Box 1935–36)). J. Gresham Machen, “The Second Part of the Ordination Pledge,” in “The Changing Scene and the Unchanging Word,” The Presbyterian Guardian (December 2, 1935), 70. “Tenth Church Refuses to Cancel Invitation, Dr. Machen Preaches: Affirmationist Moderator Attempts to Intimidate Session,” The Presbyterian Guardian (July 6, 1936): 163. Machen’s emphasis on the importance of biblical inerrancy in the cited statement and multiple others and in similar statements made by his close associates writing in The Presbyterian Guardian does not comport easily with Professor Daryl Hart’s claim: “Machen did affirm inerrancy, but it was a side issue in his estimation” (D. G. Hart, J. Gresham Machen, 6.). Interestingly enough, cartoonist Phil Saint prominently placed clever cartoons criticizing evolution in The Presbyterian Guardian, October 21, 1935, 28; November 18, 1935, 63; February 17, 1936, 167.